I haven't been updating my blog at all these days, and even with my other social accounts, there aren't many images of my new work. Why? Well, have been extremely busy working on something that required more time, energy and effort than first thought. After 6 1/2 years in Tokyo, I made the big move to relocated back to Vancouver, Canada to set up my new home studio!! The past 6 1/2 years have been more than amazing and am forever grateful of everyone and everything that has made it possible! Words cannot express my gratitude, and this experience definitely has made me a better person--creatively and body & soul. Tokyo will always be my second home! On my last day before my big move I visited Meiji-jingu, Meiji Shrine, one of my favourite places in Tokyo. Despite being located in the crowded area of Harajuku, it is of zen, serenity and a quick great escape from the hectic city life. 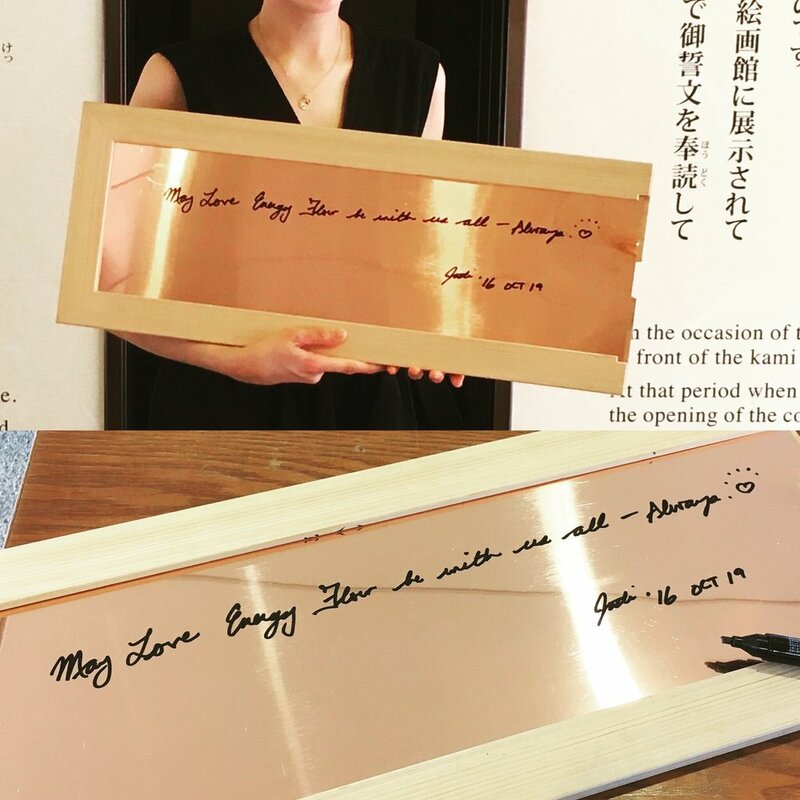 Currently, the main building is going under rebuilding, and the shrine is offering a chance to donate to the cause by purchasing a copper plate will be used under it's traditional tiled roof that one can write a personalized message. With this message at heart, I am starting a new chapter! The top image is a collage of pictures I took while back in Vancouver. Though it is "home" am rediscovering it every day!! Please come join me in this exciting journey and thank you!! And watch this space, as there will be more about my new home studio soon!